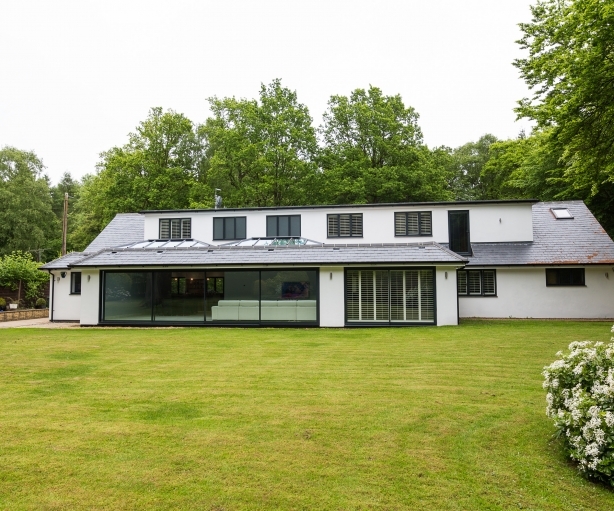 Following consultation with the owners, architects and engineers we demolished all but a 4 metre corner of the original 2 bedroom bungalow to create this stunning new property. 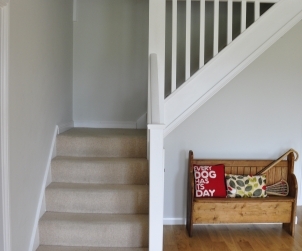 The bungalow conversion and renovation led us to increase the footprint of the property by 60%. We created 6 dormers – 3 to the front, 3 to the rear providing 5 bedrooms, a master bedroom and en-suite. Downstairs the new space allowed for additional space for a sewing room, office and playroom as well as a much larger kitchen, dining and living space with an open plan feel throughout. 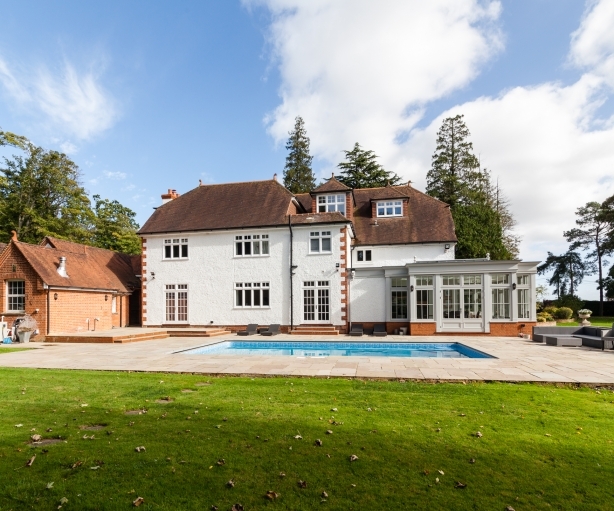 We carried out complete external and internal renovations including a hand-cut roof, shaped and made on site. 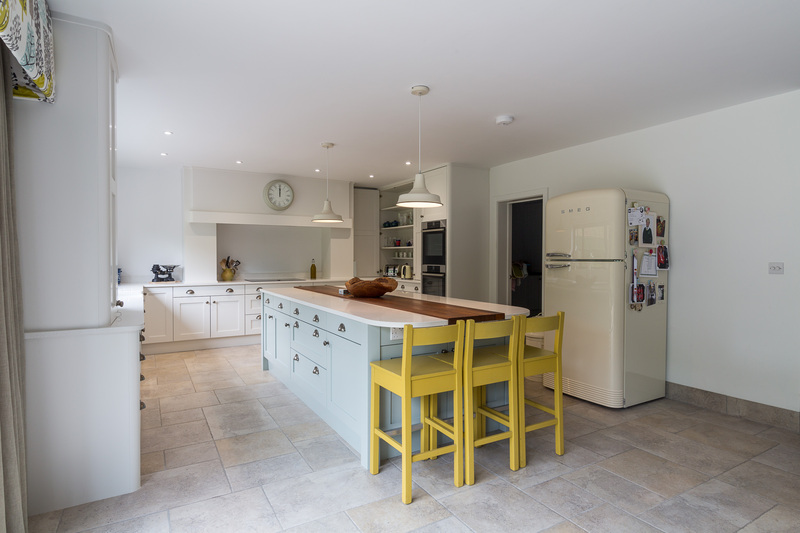 We hand-made and installed a bespoke kitchen and utility area. 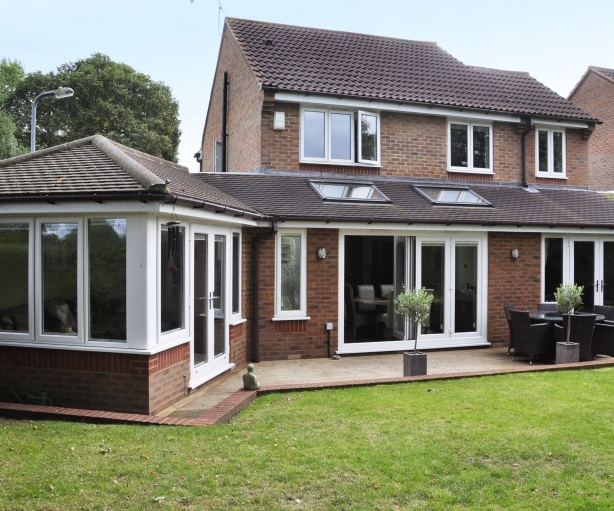 We supplied and fitted all aluminium doors and windows throughout the property. 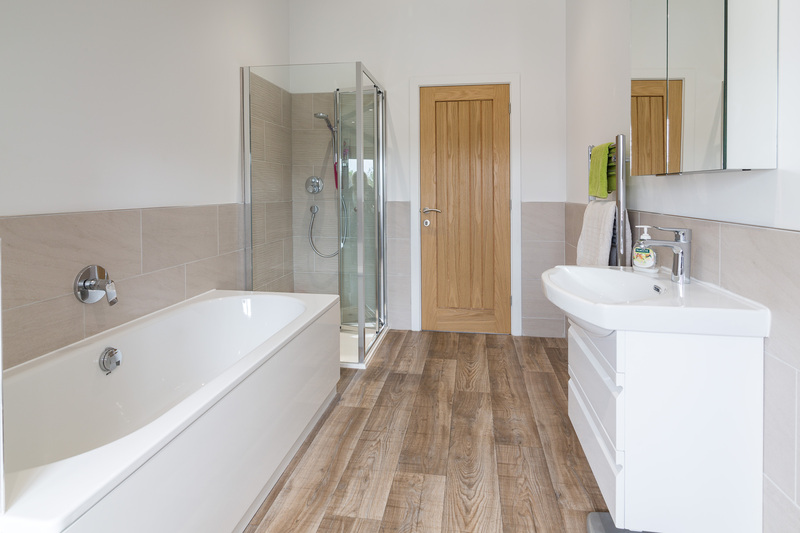 We supplied and fitted 2 main bathrooms and 2 en-suites using beautiful tiles and materials sourced by the owner to create one of a kind design. 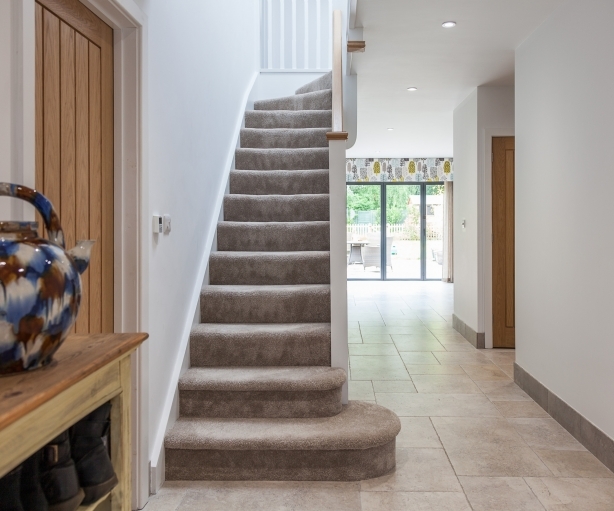 We added a mega flow heating system and wet underfloor heating system before adding ceramic flooring throughout the entire ground floor. The whole property was re-wired, plastered, tiled and decorated throughout. 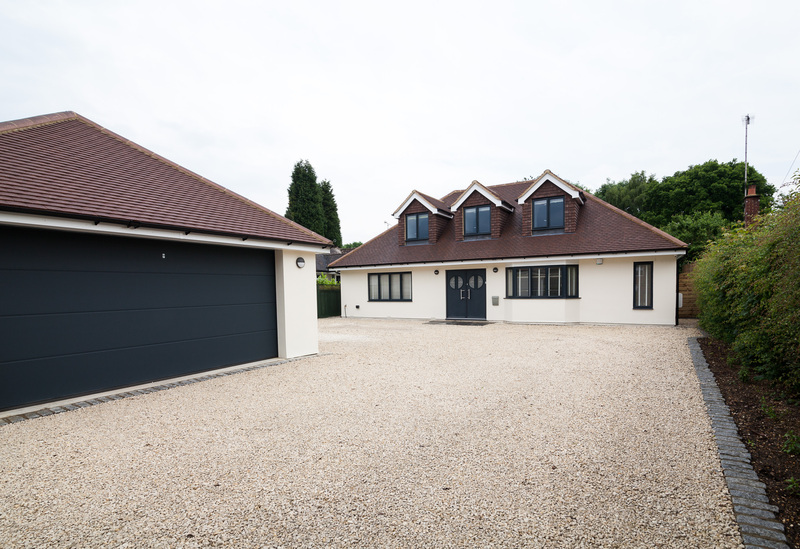 Externally we built a double garage in the grounds using materials to match the property’s exterior and we created a granite set entrance with granite set edgings border and white chipping stone finish.